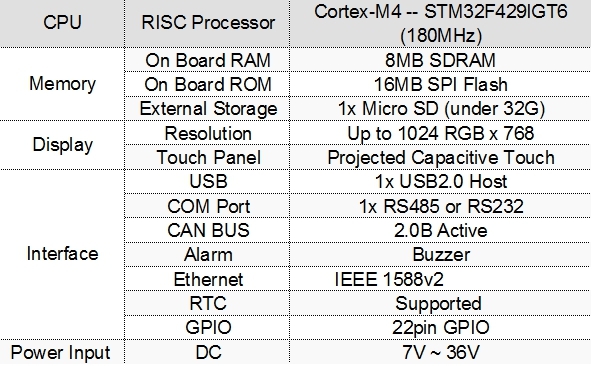 A design kit tailor-made for Cortex-M4 STM32F429IGT6 processors. It creates efficiency and reduces developing schedule. ●Support resolution to 1024 RGB x 768. ●Build in interface for Powertip 4 in 1 series TFT - 3.5”,4.3”,5” and 7 with same pin assignment.